Steroids are complex molecules, exerting known and still unknown effects in the nervous system. Throughout this volume, the reader will find a wide spectrum of articles, giving an up-to-date account of the molecular, physiological, pharmacological, and clinical aspects of steroid action on the nervous system. We would like to thank the authors who contributed with their effort and time to this volume. 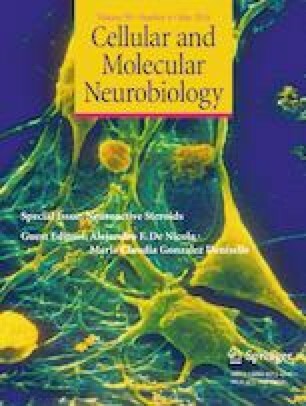 Special thanks are also given to Dr Juan M Saavedra (Editor in Chief of Cellular and Molecular Neurobiology, Georgetown University, Washington, DC, USA) for inviting us to become editors of this Special Issue.